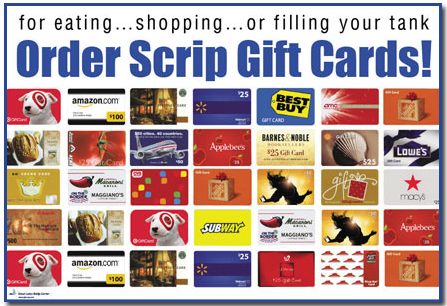 New orders for physical gift cards will not be placed during the weeks of July 15 and July 22. SCRIP Now and Reloads will still be available during that time. Regular SCRIP hours and orders will resume July 29. Any questions please contact Angie Patterson at scrip@fishersband.org.